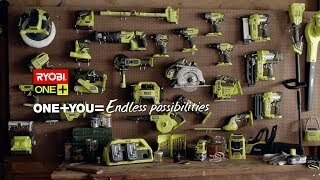 Master your home maintenance and DIY projects with the RYOBI 18V ONE+ brushless drill kit. Featuring the latest in brushless technology, this great value drill kit is a must-have for your collection of ONE+ power tools. The powerful brushless motor offers impressive runtime, so you can get the job done without interruptions. E-torque control allows the drill to automatically monitor and adjust power output to suit the job at hand and reduce the risk of damage to your materials. When you want a professional-quality finish on your projects, you can’t beat the 18V ONE+ brushless drill kit for performance and value. Get your RYOBI 18V ONE+ brushless drill kit from your local Bunnings Warehouse today.